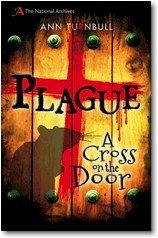 In the hot summer of 1665 the plague comes to London. Nine-year-old Sam is a servant boy with no family of his own. When his master dies, Sam is locked up in the empty building with a cross on the door to mark it as a plague house, and only his master’s dog, Budge, for company. Can Sam and Budge escape? And if they do, where can they go and how will they survive?